Dennis W. Choi, MD, PhD, has been appointed to serve as vice president for academic health affairs by Fred Sanfilippo, MD, PhD, Emory executive vice president for health affairs and chief executive officer of the Woodruff Health Sciences Center. Choi is a neuroscientist renowned for his groundbreaking research on brain and spinal cord injury. He currently directs the Comprehensive Neurosciences Center in the Woodruff Health Sciences Center, and he is executive director of the Neuroscience, Human Nature and Society Initiative within the Emory University strategic plan. Choi will continue with these responsibilities. Choi succeeds Jeffrey P. Koplan, MD, MPH, who held the position since 2002 of vice president for academic health affairs and now serves as vice president for global health. Among his many responsibilities, Choi will lead the comprehensive organizational function and structure planning process for WHSC and its clinical arm, Emory Healthcare, in attaining the goal of becoming a 21st century model for an academic health sciences and health services center. He will also oversee and help develop appropriate charter centers and comprehensive centers -- the cornerstone strategy for the future of the Woodruff Health Sciences Center and all of Emory's health affairs. "We could not be more pleased to have Dennis Choi accept this key position for Emory and help carry the Woodruff Health Sciences Center plans forward," says Sanfilippo, chairman of Emory Healthcare. "Dr. Choi has a great track record as an academic leader and will be a terrific addition to our leadership team." A key area of responsibility for this position includes assisting biomedical informatics leadership across Emory Healthcare, the WHSC and the university in developing clinical, translational and research applications in support of transdisciplinary care and academic programs. Choi will also work with WHSC deans and directors to drive collaboration across the university and with external academic partners to enhance existing relationships and create new ones. Choi joined Emory in July 2007 as executive director of Emory's strategic neurosciences initiative and is a professor in the Department of Neurology. He received MD and PhD degrees in 1978 from Harvard University and the Harvard-MIT Program in Health Sciences and Technology. 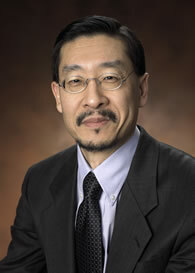 Choi served as head of the Neurology Department at Washington University Medical School from 1991 until 2001 and as neurologist-in-chief at Barnes-Jewish Hospital. From 2001 until 2006 Choi was executive vice president for neuroscience at Merck Research Labs. Choi is a member of the Institute of Medicine and its Forum on Neuroscience and Nervous System Disorders, a fellow of the American Association for the Advancement of Science and a former president of the Society for Neuroscience. Video Lecture: "When the Mind Fails: The Search for Pharmaceutical Remedy"